With the glorious sunshine across the UK recently, anyone would think summer had arrived early. Of course this isn’t the case, but it has made us think about what we like to eat, and in early summer, asparagus is one of our favourite vegetables that is in season here at Season’s Eatings. We’ve collated our top 5 recipes that use asparagus in a variety of ways: in a tart, baked and blitzed into soup. What is it is about pastry? The crispness, the indulgent feeling of having butter or simply the pleasure of the filling? Whatever the answer, tarts and quiches are always high on the agenda when on a menu or at a garden party. Here’s a recipe from early days of blogging that uses asparagus and cheddar to achieve that baking fix. This recipe, borrowed from Lorraine Pascale is still a favourite to cook as it incorporates chorizo (our store cupboard favourite at Season’s Eatings), is high in protein (from the salmon and lentils) and has great colour from the asparagus. The third recipe, was previously featured as part of a medley of smoked mackerel recipes. 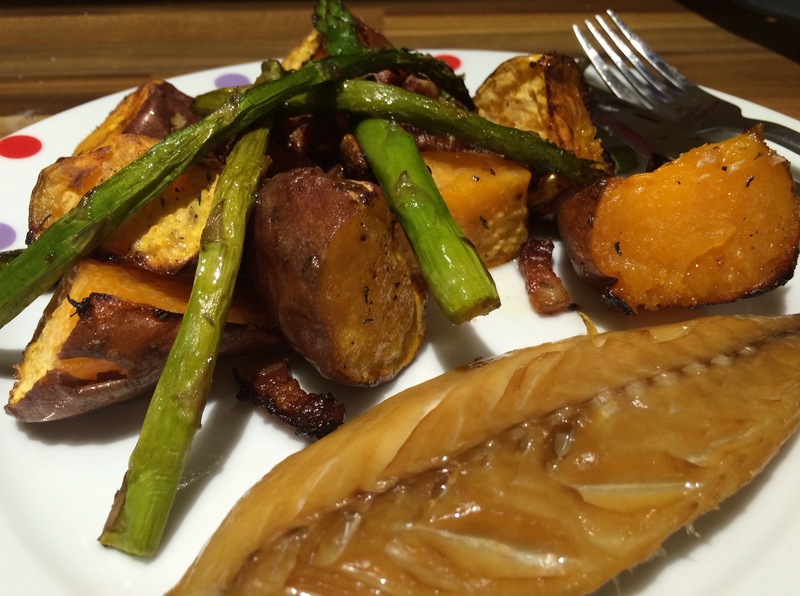 We love the oiliness and powerful flavour of smoked mackerel, and whilst it can be eaten with such a variety of food, with sweet potato and asparagus the flavour and colour combination is wonderful. 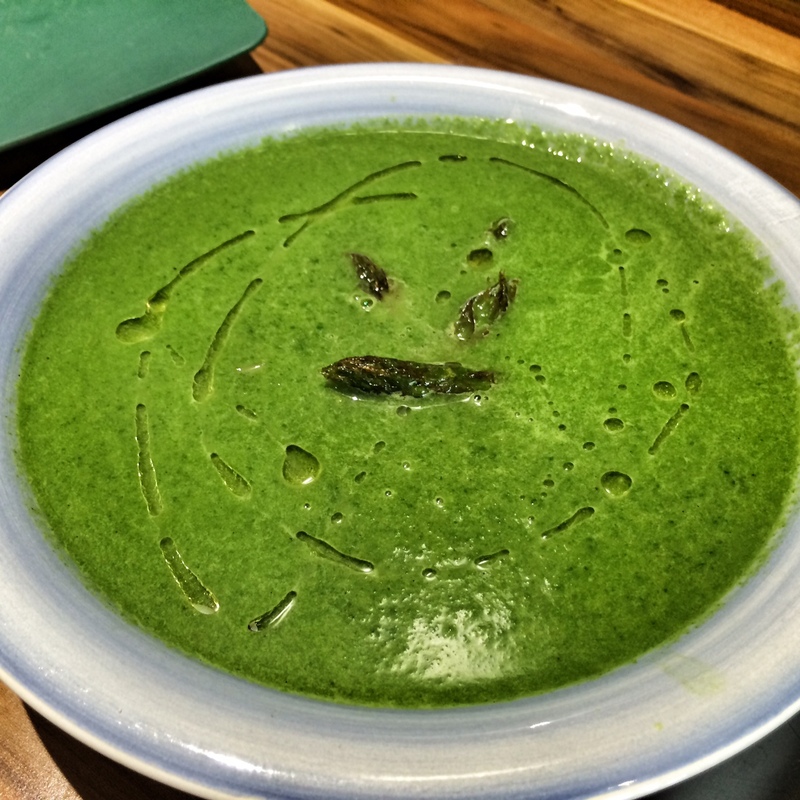 The green glow of this soup looks so vibrant that you think it can’t be natural, but it is 100% and made from only a handful of ingredients. We find the powerful flavour invigorating and it’s a great dish to make if you need a nutrient boost. 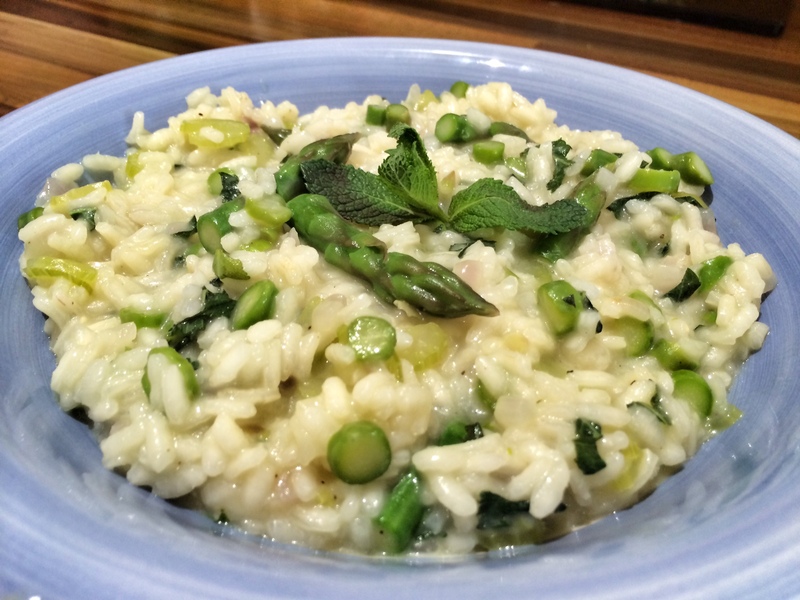 Risotto comes in many, many varieties how we eat it usually depends on a combination of what is in the fridge and what we’re in the mood for. The Spring flavours in this recipe make us reminisce of sunny afternoons.